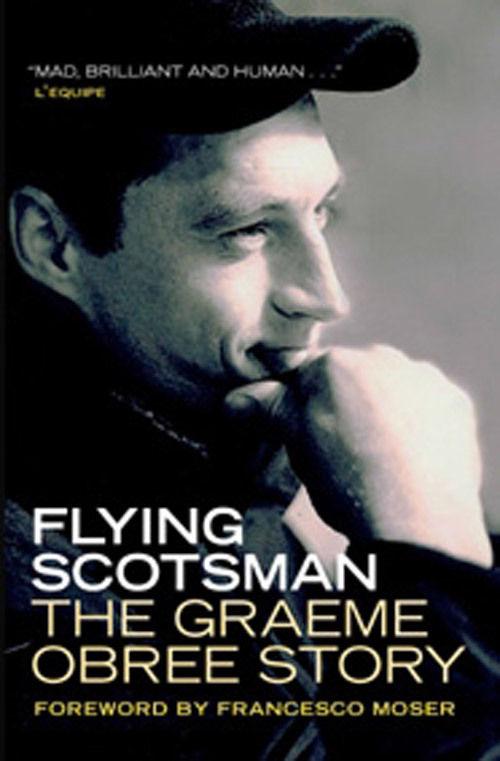 Graeme’s autobiography, ‘Flying Scotsman: Cycling to Triumph Through My Darkest Hours‘ on which the story of the film is based, is well worth reading, especially if you’re interested in cycling. He talks about the events which led up to his rise to fame, describes what happened in the various races (and talks a bit about the kit he was using), and goes into some detail on the mental state which saw him oscillate between highs and depressive lows. A later edition of the book has the same cover as used for the film… and Amazon allow you to read select pages with the “Search Inside” function. Silver-screen sports stories rarely revolve around the big and brawny, but the small and scrappy, like Sean Astin in Rudy or Toby Maguire in Seabiscuit. For Scottish cycling sensation Graeme Obree (Trainspotting’s Jonny Lee Miller), the biggest obstacle isn’t physical, but financial–and psychological. 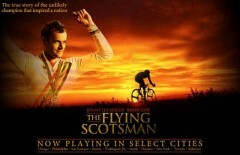 From 1993 to 1995, when most of The Flying Scotsman takes place, he’s a bike-shop owner and courier who dreams of turning pro (Laura Fraser plays his supportive spouse). After Rev. 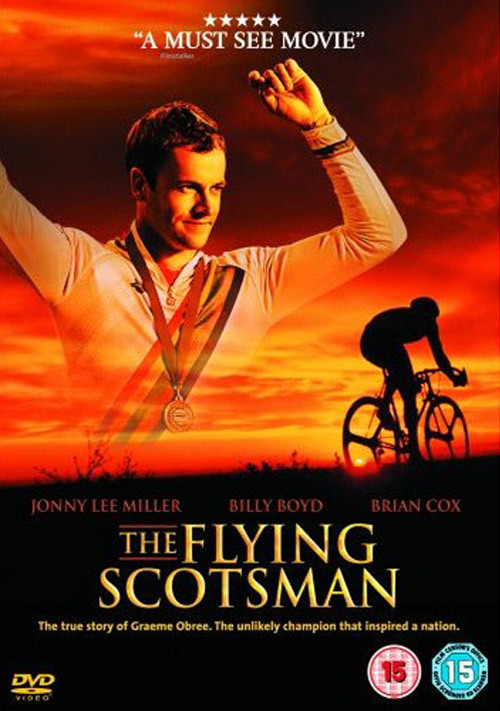 Baxter (Brian Cox returning to his native Scotland) sets him up with supplies, and fellow courier Malky (The Lord of the Rings‘ Billy Boyd) agrees to manage him, Obree sets out to break the one-hour world record. 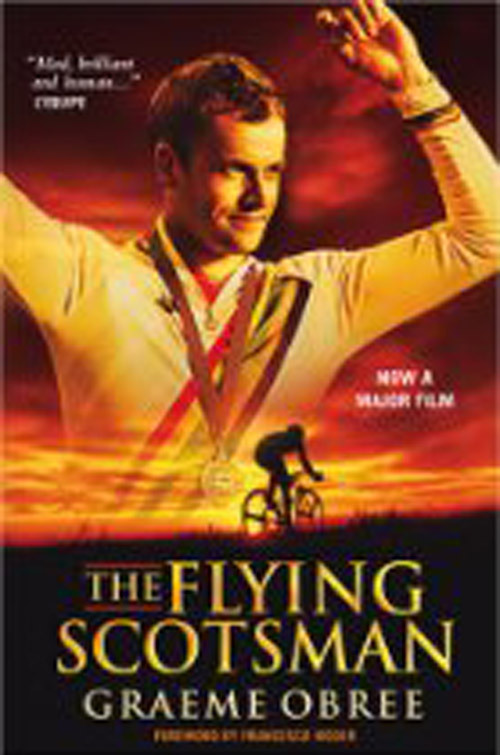 He starts by building a bicycle from spare parts, a move that recalls Anthony Hopkins’ eccentric racer in The World’s Fastest Indian.